We offer our customers years of experience and the highest standards in aviation maintenance services with exceptional attention to safety and detail. Our Maintenance Division is under the direction of AP/IA mechanic Craig Scamehorn a 20-year veteran of the industry. Craig earned his A & P license from Clover Park Technical College’s Aviation Trades Program and over the past 20 years has built a reputation for unsurpassed quality. 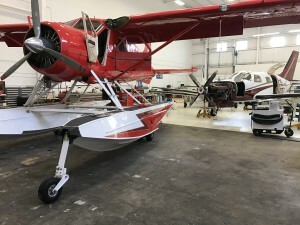 All of our aircraft technicians are certified to perform aircraft maintenance and aircraft engine repair for airplanes and helicopters to FAA standards. AOG‘ Anywhere’ Services – Call us! 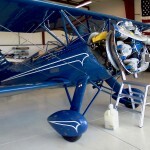 We are proud to offer experienced maintenance and restoration of antique & war bird aircraft. 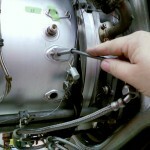 We repair and provide factory trained and authorized service for many fine aircraft, such as Pilatus, King Air, Citation, Beech Jet, Diamond as well as Robinson, Bell and Rolls Royce helicopters. Command is a Robinson Helicopter Factory Authorized Service and overhaul Center. We offer both service and parts support for Robinson helicopters. Our work is performed by factory-trained mechanics utilizing the most current Robinson Helicopter Company manuals. Diamond carefully appoints Diamond Authorized Service Centers (DASCs) throughout North America to ensure Diamond owners and operators have convenient local access to professional and knowledgeable technical support and parts. Not just anyone can be a Diamond Authorized Service Center! Each DASC must have factory trained maintenance personnel, carry a stock of service parts and tools and display the Authorized Service Center Sign. Command is a Mooney Aircraft Service Center. We specialize in service, support and parts for all years and models of Mooney Aircraft. From annual inspections to fuel tank reseals there is no job too big or too small.